Photo by Ben Peissel, no reproduction without permission. 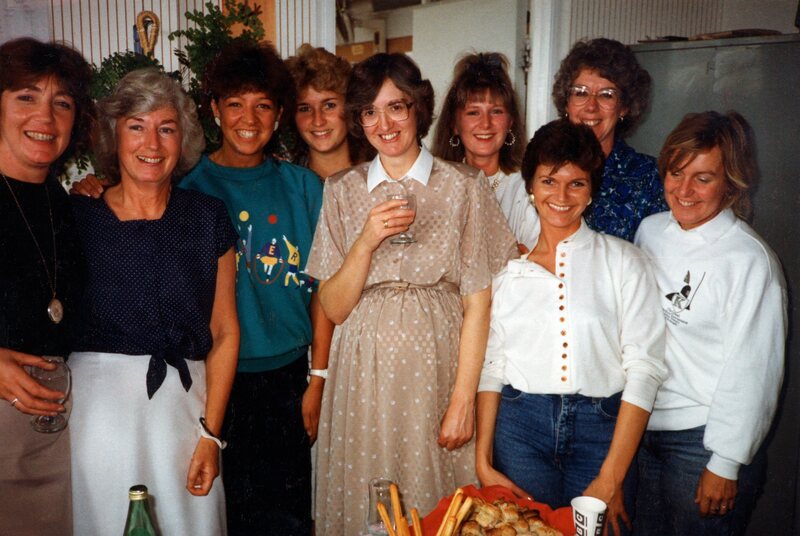 This photo is of the girls who worked in the Planning Office at BBC Pebble Mill, booking VT and other facilities. The photo shows left to right: Kath Woolston, Margaret Barton, Mandy Holdcroft, ?, Janet Woodhouse, Helena Lyons, ?, Christine Grainger, Barnara Hynes. If you can fill in the gaps, or add more information, please add a comment.